Yesterday it thrilled me, to find that interview with Leonard Pennario someone stuck up on You Tube. It beat out my other top stories, which were 1.) that I found a mantilla at an estate sale and 2.) that I managed to use all four of my Double Coupons Certificates shopping at Tops. You should have seen me and my coupons! 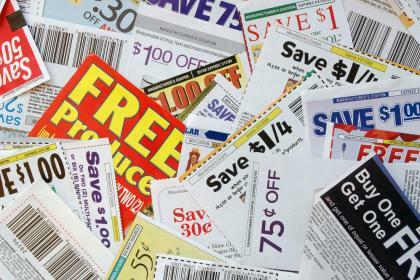 I am the Leonard Pennario of coupon users. I am a virtuoso! At the checkout, fellow customers were watching me agog. "You saved so much," the woman behind me said. Honest, she actually said that! This was at the Grant Street Tops. I said, modestly, "This is the first time I ever did it." I was like Pennario in that interview talking about playing the Grieg Concerto in Dallas when he was 12. "I had that youthful obliviousness to difficulty that, alas, soon vanishes," he said. That was a stock line of his he used to feed to interviewers. He applied it to other things too, not just the Grieg Concerto when he was 12. He did not try to feed it to me, I will tell you that right now. I teased him about that line, which I saw in print several times referring to various episodes in his life. I said, "Leonard, what is this, Dickens? 'David Copperfield'?" For Pennario that youthful obliviousness to difficulty never vanished! I mean, listen to this. It is new on You Tube courtesy of my friend Larry. It is Pennario playing the devastatingly difficult Schulz-Evler transcription of the "Blue Danube" Waltz. Anyway, I was thrilled to find that interview because video footage of Pennario is so rare. I mean it is practically nonexistent. The sound was a little bit off -- the words are not exactly in sync -- but still, just to see him smiling and talking, unbelievable.When I found it I watched it four or five times in a row. Howard said, "I love his voice. The most confident man who ever lived." When I knew him he was old, of course, but his voice still sounded a lot like that. It is great when something like this turns up. It makes me wonder what else will appear! Yes, that interview was fantastic. I, too, watched it several times. It is such a joy to hear his voice and, I especially enjoy the Kraft Music Hall radio posts where he is so delightfully humorous. Like in the new one yesterday where he just cracked up Nelson Eddy with that cheese story, lol. Priceless!